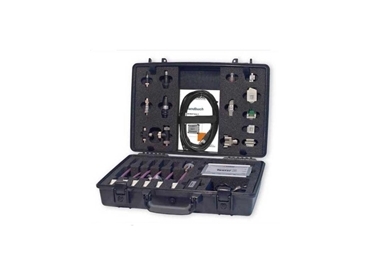 GEMAC’s CAN-Bus Tester 2 is a universal measuring instrument, essential for anyone working with CAN Bus networks, including service technicians, engineers developing products with CAN, production engineers testing machines, or maintenance engineers monitoring machines. Ideal for the commissioning, analysis, monitoring, troubleshooting and service/ maintenance of CAN Bus networks, the CAN-Bus Tester 2 provides an overview of the signal conditions on the bus, which helps the user locate and rectify frequently occurring error causes without unnecessary delays. Typical problems that occur during the operation of CAN bus networks such as node failures, faults in the communication or complete standstill of the machine often have their origins in the physical bus characteristics. Machine designers for instance, can use the CAN-Bus Tester 2 to correct bus cabling and verify its transmission properties when commissioning the machine. The CBT2 can also perform comparison measurements directly on the running machine over its lifetime to prevent costly, unplanned downtimes. Most OEM software with diagnostic capabilities can report problems when the CAN Bus network is working properly. However, the CBT2 will be of use in diagnosing faults at a deeper level when the network or devices are faulty. Providing a clear overview of CANopen systems, CBT2 will be helpful for developers during the development of CANopen devices and the installation and monitoring of CANopen field bus networks. The CAN-Bus Tester 2 is available from CAN Automotion .